At K.R. Mangalam World School, G.K-II, we firmly believe that the goal of education in current times is not to increase the amount of knowledge but to create possibilities for a child to invent and discover and to create learners who are capable of new things with unrelenting vigour and ardour. In pursuit of the same, the students of K.R Mangalam World School, G.K-II participated in the Children Theatre Festival organized by “Three Arts Club” at Sriram Centre on 10 Nov 2017. 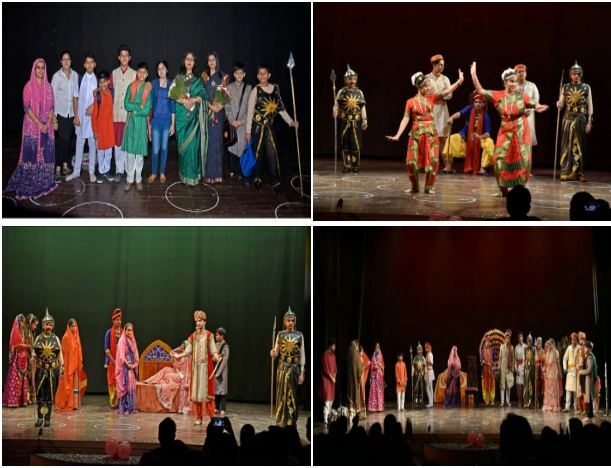 Our school was represented by a group of 20 youthful pupils (artists) staging a play titled as “Aetihasik Balidan”. The children received an overwhelming response from one and all present there.